Chris Walsh has put up part 2 of his interview with stop motion animator Payton Curtis. Part 1 is here. 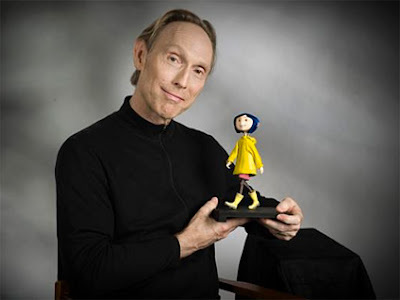 The Museum of the Moving Image has posted a 76 minute audio interview with Henry Selick that was recorded on November 18 and 19 of last year. You can also download an mp3 of the interview at the link. Chris Walsh is one of my fellow instructors at Sheridan College. While he lectures on story and animation history, his main area of expertise is teaching stop motion. Over at his blog, Walsh-O-Matic, he has the first part of an interview with stopmo animator Payton Curtis. 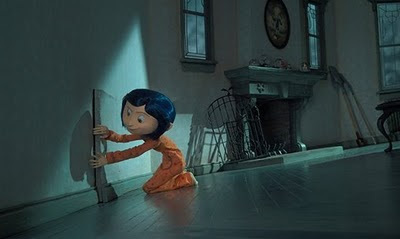 Curtis recently worked on Coraline and The Fantastic Mr. Fox and talks about the process of animating on a stop motion feature. The National Film Board of Canada periodically runs a program called Hothouse, where they offer emerging animators the paid opportunity to create short films at the NFB. The program is only open to Canadian citizens or landed immigrants and the call has just gone out for the sixth edition, for which all films will be made in stereoscopic 3D. The deadline for submissions is February 19 and the program will run from April 5 to June 25 in Montreal. Anyone interested can find out more details here. "This Is Not An Animated Film"
As a follow up to my earlier post, here's James Cameron's take on what he's doing. Cordell Barker talks about The Cat Came Back. I saw Avatar and quite enjoyed it. Many people have pointed out similarities to Pocahontas, Ferngully and Dances with Wolves. There are also elements of Tarzan and Anne McCaffrey's Dragonriders of Pern. I'm sure that some enterprising person will set up a website showing all those references and many more. James Cameron's strong suit isn't originality; what he's best at is taking existing elements, weaving them into a solidly structured screenplay and then kicking it up a notch with his directing ability. Avatar doesn't break new ground from the standpoint of content, but it does deliver that content in a very satisfying manner. It's basically a fish out of water story combined with a romantic vision of simpler societies. Edgar Rice Burroughs (author of the Tarzan, John Carter and Carson of Venus stories) specialized in stories like this. In Burroughs' case, there was an underlying racism; white men were always destined to rule the natives. There's no racism in Cameron's point of view in Avatar (though there is in many of the characters'), but there's still the arrogant conceit that allows the hero to admire a foreign society and then rise to the top of it. Heaven forbid that the hero could admire another society but fail to dominate it, which is much truer to the immigrant experience. Cameron adds a strong criticism of capitalist exploitation to the mix, which has apparently raised the ire of the Fox News folks. However, given the current economy, people who have seen their jobs downsized or outsourced, who can't afford health care and who have walked away from their mortgages don't need a movie to tell them that capitalism can be brutal. In this regard, Avatar has a lot in common with Up in the Air, a low-tech film that is built around laying people off. Fox News can complain all it wants, but Hollywood follows the zeitgeist, not the other way around. And the final irony is that while one division of Fox is condemning the film, Fox itself produced it, which proves that Rupert Murdoch is only concerned with profit, not ideology. Avatar crystallized something for me that I should have realized years ago. There has been a lot of discussion of mocap and its relationship to keyframed animation. I now realize that this is a symptom of a larger division within the film industry. When James Cameron or Peter Jackson use mocap, it's for almost-but-not-quite-human creatures that have to share the screen with human actors. The goal is for these characters to be believable within the confines of a film that has a realistic surface. The schism isn't between mocap and keyframing; it's between realism and caricature. James Cameron's goals are very different than those of Pixar, Disney, Dreamworks or Blue Sky. Cameron's use of mocap is an attempt to extend reality. The film wants to fool us into believing what we're seeing is real. The all-cgi features have become more detailed and lush in their visuals, but looking at the characters, it's clear that they aren't real. 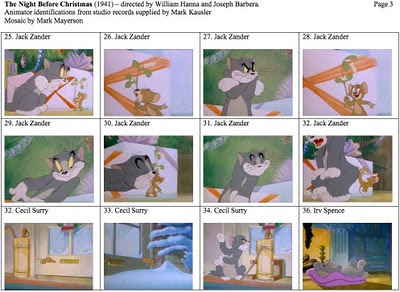 The character designs prevent the audience from being fooled. This presents an interesting problem. Caricature has never been taken as seriously as realism. The history of Western art, with the exception of the dark ages and the 20th century, has always been derived from realism, and the art of the dark ages probably had more to do with the loss of knowledge and craft than with a conscious artistic choice. Caricature might be seen as clever, but except for artists, nobody values caricature as more than a lightweight diversion. 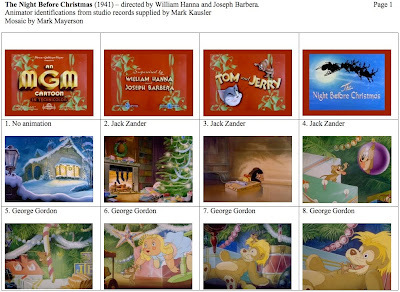 Disney moved more towards illustration when he went into features. 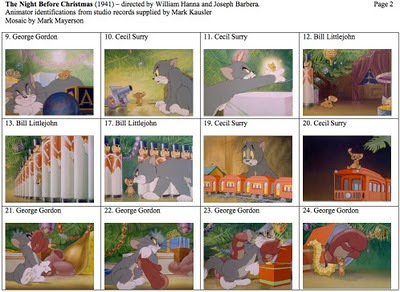 The all-cgi features have pushed their visuals towards greater complexity (which sometimes clashes with their character designs). Video games have also gravitated towards realism. I believe that this has been motivated by a desire to be taken more seriously by getting closer to what Western eyes value in art. Caricature can be serious. 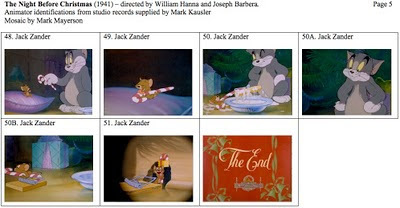 The early Disney features prove it and Pixar hasn't done too badly itself making that point. 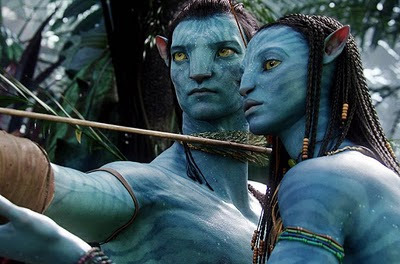 But there's the gravitational pull towards realism, one proven by Avatar's box office to be satisfying to audiences. The move to stereoscopic 3D is another aspect of that pull towards realism. 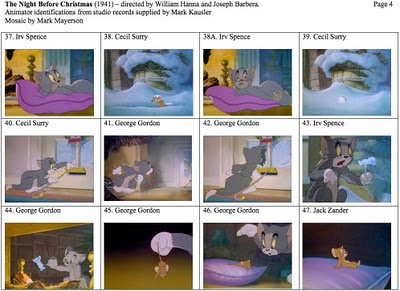 The challenge for animation is to find the sweet spot between the realism that computers are capable of and caricature, which strips away detail to get to the essence of something. It's not a problem for comedy; if caricature is thought of as lightweight, then it's perfectly suited to getting laughs. But just as all comedians yearn to play Hamlet, all animators yearn to be taken seriously, if not in terms of subject matter then in terms of respect. As the success of cgi features, with their greater dimensionality and visual complexity, suggested to some that drawn animation was old hat, I wonder if Avatar will suggest that caricature is fit only for children's films and comedy. Should the schism between realism and caricature be narrowed or made wider? I think the executive decisions in the wake of Avatar will have a big impact on the future of keyframing and while I admire the film, I'm afraid that its influence won't be wholly good. Update: David Brooks has an interesting article in the N.Y. Times, referring to the story formula used in Avatar as the "White Messiah fable." It rests on the stereotype that white people are rationalist and technocratic while colonial victims are spiritual and athletic. It rests on the assumption that nonwhites need the White Messiah to lead their crusades. It rests on the assumption that illiteracy is the path to grace. It also creates a sort of two-edged cultural imperialism. Natives can either have their history shaped by cruel imperialists or benevolent ones, but either way, they are going to be supporting actors in our journey to self-admiration. His entire article can be found here. You may have read articles crowing about the box office record set this year. For the first time, movies have grossed more than $10 billion at the North American box office (which includes the U.S. and Canada). However, a closer look at the numbers shows that while the box office gross set a record this year, attendance is not the reason. It has to do with the increase in ticket prices. A quick look at the chart above (lifted from Deadline Hollywood Daily), shows that ticket sales, while up for this year, fall in the average range. For the 11 years on the chart, 6 of them have higher ticket sales than 2009. Furthermore, except for the years 2002-2004, movie attendance has basically remained stable at fewer than 1.5 billion admissions a year during a decade when the population of the U.S. and Canada grew by approximately 33 million (See here and here). Note that ticket prices have gone up 47% since 1999 while paid admissions have actually fallen from that year. Furthermore, Dave Kehr reports that DVD sales have fallen $800 million in 2009. Standard DVD sales fell $1 billion with Blu-ray sales increasing by $200 million. So while Hollywood is basking in its record year, it's an illusion. Attendance is relatively flat over the decade, DVD sales have fallen and only rising prices have led to increased revenue. They haven't grown the pie, only charged more for each slice. Should the audience tire of stereoscopic 3D (and its higher ticket prices), the box office gross may drop significantly next year. As there are only 359 days until Christmas, this seems like the appropriate time for this mosaic. The information on the animator draft, courtesy of Mark Kausler, can be found here and here. Click any of the images below to enlarge.